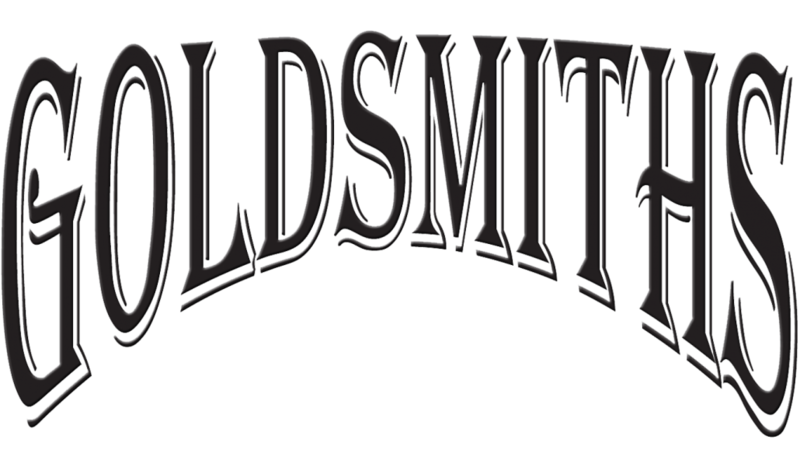 TRI-COLOR BEZEL MOTHER'S STACKABLE CUSTOM RINGS – The Goldsmiths Ltd. This custom mother’s ring set features three stack-able, individual rings, each made in a different color gold to give the overall tri-color look. 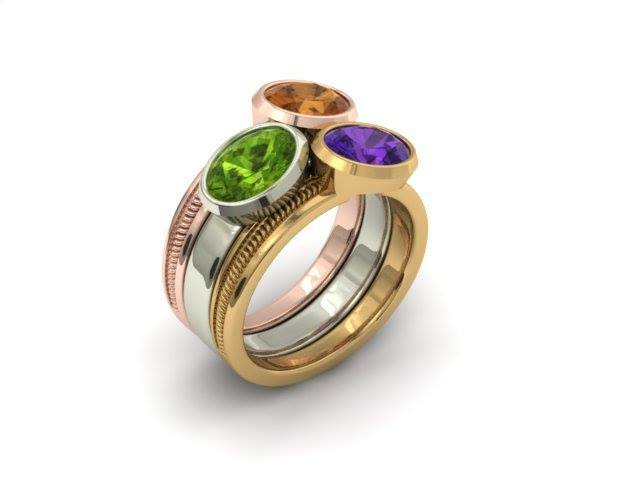 Each ring holds a single gemstone set in a bezel, amethyst, peridot and orange sapphire. The yellow gold and rose gold shanks have a braided detail, while the white gold shank has a high polish finish.